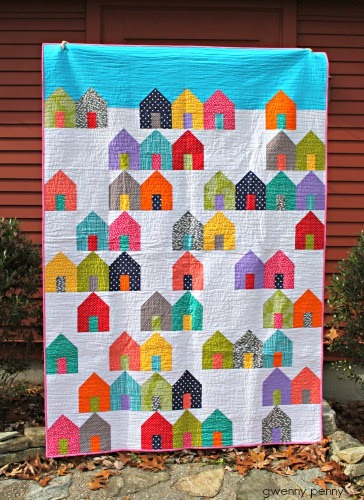 The pattern is Suburbs from Allison Harris (Cluck Cluck Sew). My daughter picked it out herself. I was a little more than thrilled because I love this pattern. 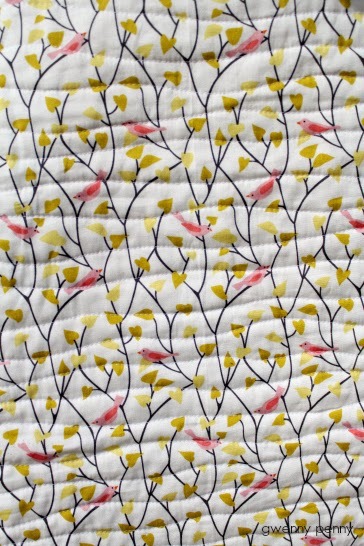 I decided to go with wavy quilting lines. I've never done anything by straight-line quilting, so I was afraid the wavy lines were going to look like a complete novice (or drunk person :) quilted it, but I absolutely love the way it turned out. I'm also happy to report that all but the blue sky fabric and the backing came from my stash! Very beautiful! What a lucky little girl! I have admired this pattern. You did a beautiful job, it is really lovely . Gorgeous! 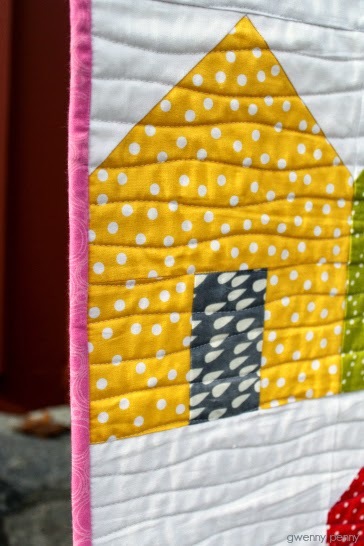 Love the wavy quilting. BEAUTIFUL! 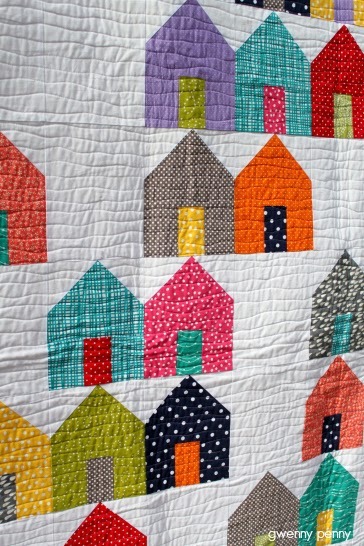 Love the fabrics + LOVE the quilting. It looks great!